Some time ago, shortly after my mother had passed away, I was poking through her drawer of cookbooks when I came upon this one. 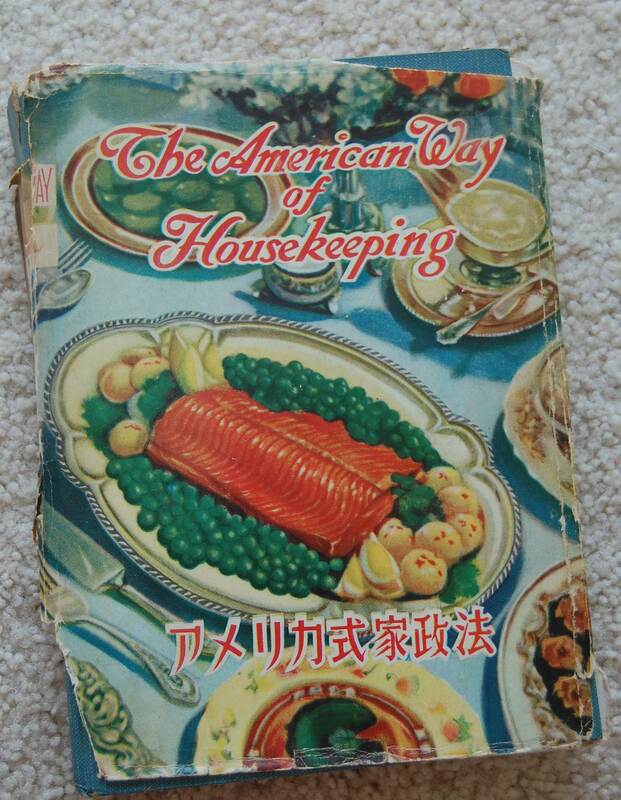 The American Way of Housekeeping had a cover barely cracked open and was written in Japanese, with English on the facing pages. “What is this?” I asked my father. I never saw that copy again. It got cleaned out. But I thought about the book, wondering how it had guided newly arrived brides. Eventually, the book served as the inspiration for my book-within-the-book, How to Be an American Housewife. A search last year turned up a couple of copies, and I finally got to peruse the real thing. 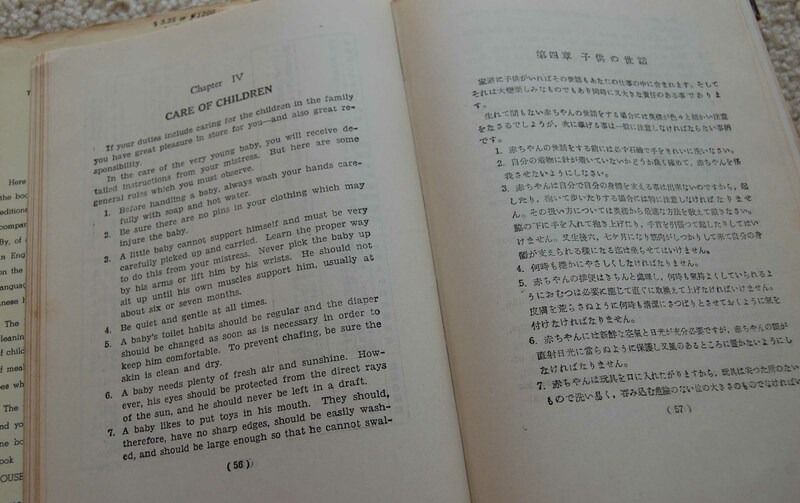 The book was published by the Charles E. Tuttle Company of Vermont and Tokyo, in multiple editions, for the Japanese housekeepers of American servicemen. The book lists the authors as members of the American Women’s Guild, the Calvary Officers’ Wives, the Christian Women’s Association, the GHQ Officers’ Wives, and Navy Officers’ Wives. Because obviously, the Japanese nanny would otherwise pick up a baby by his feet, swing him around, and give him some a samurai sword to play with. 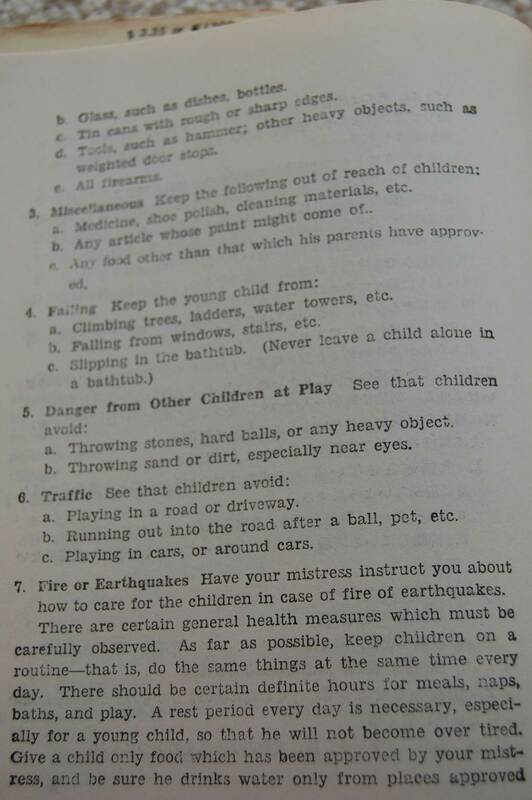 I like the one that says you shouldn’t allow the children to throw stones as part of their play. 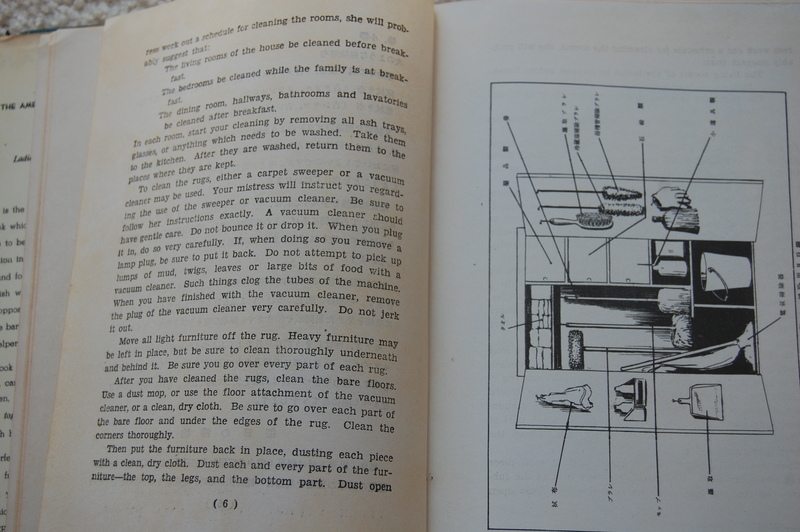 This next section has how to clean the house, and when. Apparently everything gets cleaned in the morning: the living rooms before breakfast, the bedrooms during, and the other rooms right after. This begs the question: when is the intrepid housekeeper supposed to have time to make the breakfast? There are also many rules on comportment, such as not answering the door in a dirty apron and so forth. 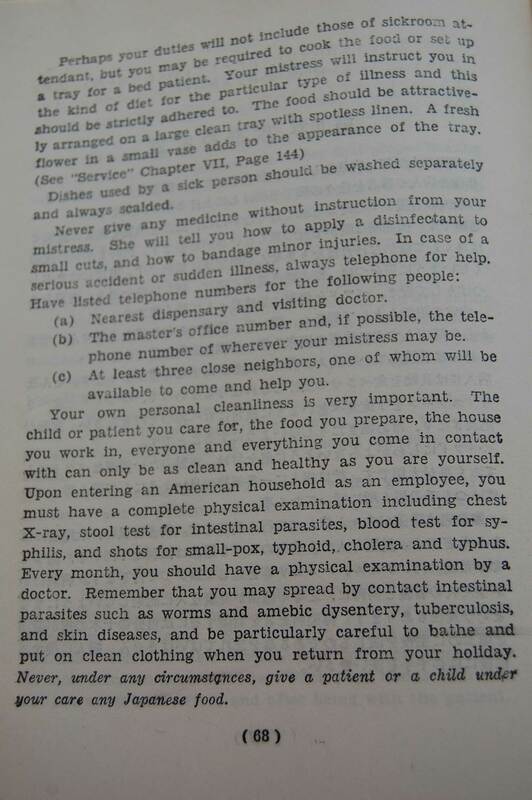 The “Home Nursing” section gives a lot of advice, including: “If feeding is necessary…be sure that the food is not too hot or too cold.” It also reminds the housekeepers to wash their hands plenty of times. Now, my mother and every Japanese person I know is relentlessly clean, and I’m pretty sure they were relentlessly clean before the Occupation. But, despite all this obvious sort of disregard for common sense of the average Japanese housekeeper (and really, wouldn’t a society with the technology to build secret subs and such know they had to wash their hands? 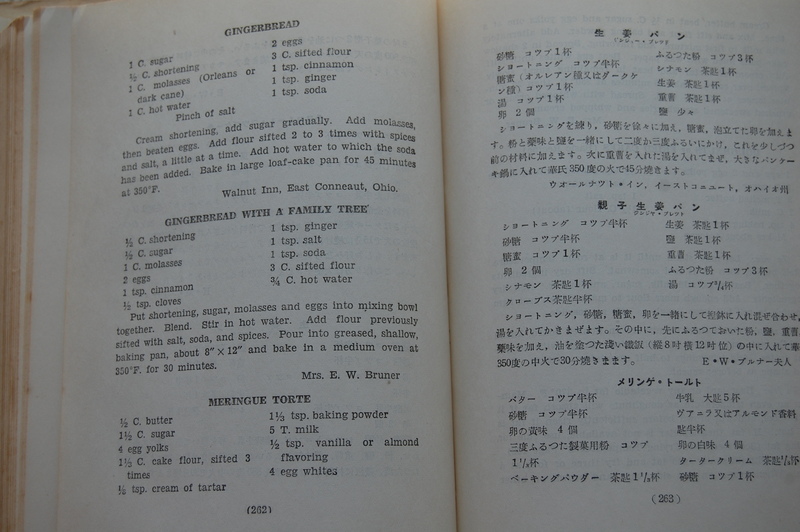 ), Japanese women who married Americans did use the book as a source. Check out this Seattle Times article. Click on the gallery pics to see any of these images in greater detail. Check out more about Margaret and her mother, including more pics, here. I really enjoyed the book. Just finished it. Just reviewed it on my blog. I wonder…any chance that due to your book there will be enough renewed interest in the book The American Way of Housekeeping that it will be reprinted? I would LOVE to have a copy. What a piece of history, eh? Who knows? A reprint would be brilliant! But you can look on ebay or Amazon for a copy, for now! The “keep a young child from climbing water towers” caught my eye. I’m used to thinking of water towers as being a couple of hundred feet high, but maybe the authors were talking about household water tanks? I can imagine what a monthly physical would do to insurance premiums nowadays. I guess they didn’t have the interminable waits in waiting rooms back then. Maybe they warned against giving Japanese food to a child or patient because of the different content? I mean, American food back then was pretty plain-meat, potato, vegetable. Japanese food was considered exotic. Not to mention that any spices used might upset the stomach of a sick person or child who weren’t used to it. Still, that sounds pretty harsh. I just recently got a copy of The American Way of Housekeeping. It belonged to my japanese mother-in-law who married a young American soldier after WWII. It certainly is an interesting book. I know my mother-in-law did not need it. I look forward to finding your book. My name’s JD Wilson, and I work at Tuttle Publishing. A friend just sent me a link to your blog. I’m so interested to see an old Tuttle book like this still floating around! I’m amused by the Japanese title: Amerika-shiki Kaseiho. A more direct translation than “the Way of American Housekeeping” would be “Rules of American-style Housekeeping”, and, indeed, it reads more like rules than helpful hints. This is a fine example of a book that–more perhaps than the content of the book itself–captured something of the relationship between the US and Japan after the War. The exhortations about cleanliness and hygiene come across as equal parts arrogant and ignorant. The explanation of how an American-style kitchen worked, on the other hand, might have been helpful, most Japanese people of the day not ever having used an oven. Thanks for blogging about the book. I enjoyed reading it! Thanks so much! I’m sort of collecting Tuttle books now, as I see them– I just picked up The American Boys Handy Book at the swap meet. 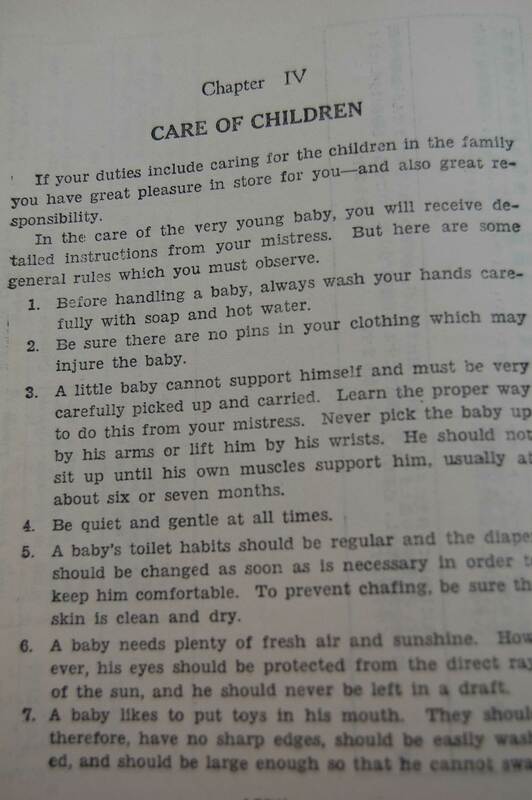 It has everything from how to care for wild baby birds to how to “tie” another boy up to a pole without rope. That’s an amazing book. We do a lot of kits these days, because what sells are activities where everything is arranged and boxed up together. And that’s great, but I sort of regret that kids might sometimes be missing the experience of improvising the play and the materials. At the same time, I have a friend here who tells me whenever she gives her children fancy toys, they’d rather just play with the cardboard box! I’m enjoying your blog! Thanks for writing.